Home About SaraPath Our Pathologists Christina L. Warner, M.D. 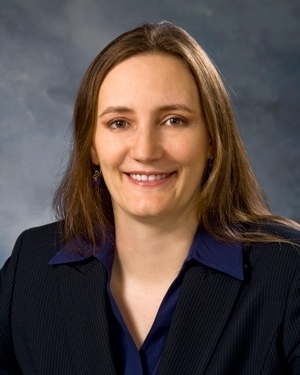 Dr. Christina L. Warner joined Sarapath Diagnostics® in 2011. She is board-certified in anatomic and clinical pathology and dermatopathology. Dr. Warner earned a Bachelor of Art degree in Anthropology from New College of Florida in 1997, and a Bachelor of Science in Biology at the University of Kentucky in 2000. She received her medical degree with distinction from the University of Kentucky in 2005. After fulfilling her residency in anatomic and clinical pathology at the University of Kentucky Chandler Medical Center, where she served as chief resident during her last year, Dr. Warner completed her training with a fellowship in dermatopathology at the University of Texas Southwestern Medical Center. Her professional affiliations include the College of American Pathologists, the American Academy of Dermatology, the American Medical Association, and the Florida Medical Association. Dr. Warner has coauthored and collaborated in several publications and medical presentations. Dr. Warner maintains an avocational interest in anthropology, as she has traveled several times to Peru to assist her husband, John, in his fieldwork as an Andean archaeologist. In addition to traveling, they also enjoy gardening, reading, and chasing after their young daughter, Meghan.